The Leopold PFO and Community School Fall Bake Sale will be held on Election day, Tuesday, November 6, from 7:30am-6:30pm. We will be welcoming voters to our Leopold Elementary Polling station. We encourage all families to participate by bringing bake sale items. We also need a few volunteers to help staff at the bake sale tables during the event. 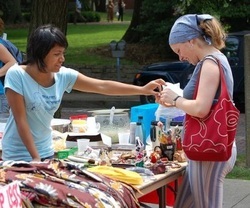 Leopold boasts a wide variety of fundraisers for which we need volunteers. These fundraisers allow our kids not to have to sell things door to door to keep our school strong. However, we do ask that parents give time when they can to make these events successful. Earn Money for Leopold on your Amazon Orders! 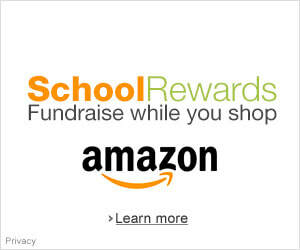 Click on the amazon.com logo below or click HERE and shop as you normally would to earn money for Leopold on your amazon.com purchases! Leopold's production of the Lion King Kids premieres May 15th at Leopold! Through partnership with Overture Center, Disney Musicals in Schools is in its first year of programming at Leopold. Rehearsals are underway, and Lion King Kids is looking for volunteers to assist stage crew with building sets and costumes Tuesday and Wednesdays after school. There is also a need for volunteers to support three scheduled performances, to be held on May 15. Jobs include, but are not limited to: taking tickets, distributing programs, setting up chairs, helping kids with makeup, helping set up other stage pieces like sound or curtains. Want to take your commitment to the next level? The PFO would like to establish a committee to look at long-term fundraising to kep Disney Musicals in Schools at Leopold for years to come. Please email Greg Reed (treed@madison.k12.wi.us), Kyla Pilliod (kjpilliod@madison.k12.wi.us) or Matt Wendt (mrwendt@madison.k12.wi.us) with any questions or to commit to volunteering. When you buy your favorite box top products, be sure to cut out the box top from each package. Each quarter the PFO sponsors a contest between classrooms, where students bring in their box tops. Collecting the box tops earns a significant cash to help our school buy needed supplies and more! Check out the boxtops website for more information, products with Box Tops, bonus Box Tops, eBox Tops, collections sheets and more. Consider collecting box tops at your place of work, and have your extended family and neighbors save them too! The box tops website has printable collection containers that kids can make to place around our community. Even better, when your shopping online, start here to enter hundreds of stores through the BoxTops site and get bonus eBoxTops! This is an EASY and PROFITABLE program for our school and we encourage everyone to be creative in their collection efforts! 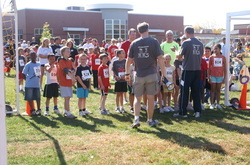 Each year the Leopold Parent Faculty Organization (PFO) holds a fun run for kids and adults to support our school and promote health and fitness in a fun and positive way. In partnership with Leopold’s USDA grant-based Fresh Fruit and Vegetable Program, this fun run offers a great opportunity to get kids moving and get healthy. In addition to modest contributions collected by student from family, friends, and neighbors, local businesses and organizations offer generous contributions in the form of sponsorships. This offers a great opportunity for businesses to reach out to our community through sponsorship advertising. Over the summer, the PFO runs a large sponsorship campaign to contact businesses in an effort to collect contributions. Last year, local businesses and sponsoring Leopold families generously contributed more than $4,400 to Leopold's annual fun-run fundraiser. This is our largest fundraiser of the year, and the these critical funds enable the PFO to meet a wide range of school, student, and teacher needs. Many area employers support your volunteer time and donations. Please ask your employer if they have such a program. Here are some we know of. Let us know if we can add your employer to the list! BMO / Harris Bank - will match donations made to a qualifying non-profit (the Leopold PFO is) at a rate of $.50 for every dollar contributed, up to a maximum payment of $1,000 from BMO Harris Bank per employee per year. Contributions must be a minimum of $100 to qualify for the BMO Harris Bank match. CUNA Mutual - will contribute $250 to a non-profit organization where employees volunteer 40 hours per year.